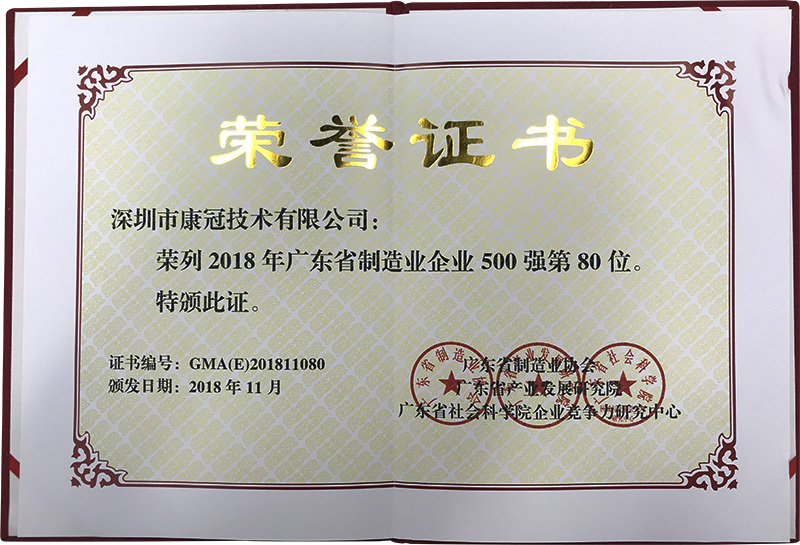 Recently, list of “2018 Top-500 Manufacturing Enterprises in Guangdong” was released and KTC was included in it. It ranked 80th and was among the top 100. By the recommendation of relevant government functional departments, chamber of commerce and associations, enterprises declaration, public data collection survey and verification, referring to finalist conditions and international evaluation criteria, the list of “Top-500 Manufacturing Enterprises in Guangdong” was examined and approved by committee of experts, which is one of the most authoritative lists in Guangdong. On the whole, revenues of top 500 manufacturing enterprises in Guangdong reached RMB 4.13 trillion in 2018, up 31.53% over last year; average revenue was RMB8.267bn, up 31.22% over last year. While among the 500 enterprises, only 99 have a revenue of over RMB5bn, and KTC was one of them. KTC has maintained steady development since its founding. Investment in R&D and manufacture of flat panel display terminal products has contributed to the FPD industry. To excel from numerous pioneer enterprises not only affirmed the steady development of KTC but also was a high recognition of its comprehensive strength and competitiveness. In the future, KTC will continue to promote transformation, strive to excel in the work, set a model, guard against arrogance and rashness, and create brilliance again. Previous: Two KTC companies topped the list of “2018 Guangdong Independent Innovation Demonstration Enterprises” Next: KTC won the title of "2018 Guangdong Export Band-name Enterprise"